Something you may not know about me is that I’m a big Doctor Who fan! I’ve seen almost every episode of the new series starting in 2005… twice. Many of them, three or even four times. And while I haven’t watched all of the classic episodes, I’ve seen most of them from 1963 to 1975. So yeah, I’m a big fan. But that doesn’t mean that I don’t have problems with it, and one of the show’s more recent annoyances has been how they deal with the Doctor’s companions’ deaths. 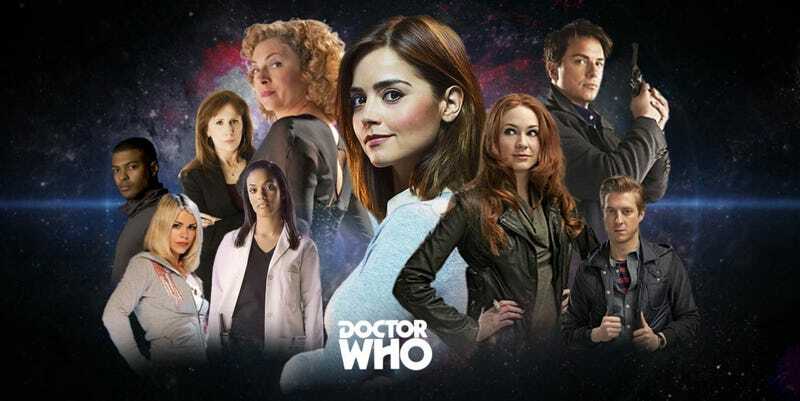 Fair warning, we are going into spoiler territory, so if you don’t want to know the ultimate fate of each Doctor’s companions, then turn away now! I’ll be focusing on 2005-2017 Doctor Who, as I’m a bit fuzzy on the older ones to be honest. While I might actually love Moffat’s version of Doctor Who more than Davies’, he has a serious problem with not letting companions die. This might seem odd to say, seeing as Davies never really killed any of his companions. But while Davies’ companions’ survival felt earned and natural, Moffat’s companions’ survival feels forced and greatly diminishes any emotional impact. And of course, you can’t complain about Moffat killing off a character without complaining about Amy and Rory. In my humble opinion, Moffat took modern Doctor Who to the highest highs in seasons five and six, only to not so much drop the ball in season seven as he fumbled, almost caught it, and then let it fall into a sewer. While being sent back in time by a Weeping Angel was actually very clever and could have potentially been emotionally impactful, it was an episode that happened half a season too early. Amy and Rory were the 11th Doctor’s most steadfast companions, having been with him for two and a half seasons. And yet, for God knows what reason, Moffat decides to kill them off half a season and two specials before he regenerates?! Why?! The dynamic between Clara and the 11th Doctor made me hate both of them, so not only did Amy and Rory’s deaths feel rushed and out of the blue, but it also ruined what should have been the 11th Doctor’s emotional regeneration as well. Clara and Bill got oh so tantalizingly close to having an emotional send-off, but Moffat sadly didn’t stick the landing with either. For one chilling episode, we actually see Clara die, and it’s pretty gut-wrenching! But then she gets saved by freezing time the second before she dies, and then she eventually just goes off for who knows how many years with Game of Thrones girl and have adventures before she decides to just die already. It’s weird, it’s a cop-out, and I don’t like it. There are so many things I love about Bill, namely that she was the first companion to stay within the confines of a single season since Donna! But when she has her very emotional death scene that was built up over one of the coolest season finales since season six, Steven Moffat pulls off the same crap and has her be “saved” last-second by a water lady, and they decide to be kinda-dead-but-not-really-space-girlfriends. This, this, is the kind of crap that makes me embarrassed to be a Doctor Who fan sometimes. So Chris Chibnall, you’re now taking the helm as Doctor Who’s new writer. Here’s a tip: If you don’t want your companions to die, great! Just write a good ending for them that doesn’t involve freezing time a second before their death and then having them go on adventures. In the most sophisticated critique I can provide: That’s dumb and stupid.